Well, I’m exhausted. After almost 3 months of making new videos, I’ve decided to take a break for a while. I’ve got some other things going on that will be taking up most of my time so, in terms of music videos and YouTube videos, I’ll be chillaxing a bit. I may have one or two more videos dropping depending on if I have time, but seeing as the majority of songs on “The Obama Milli Remix Guy Strikes Back” already have videos for them, I should be good for now. I’ll still be updating this site with various blogs, though, so you’ll still be able to read up on what I’m up to. That’s all for now! 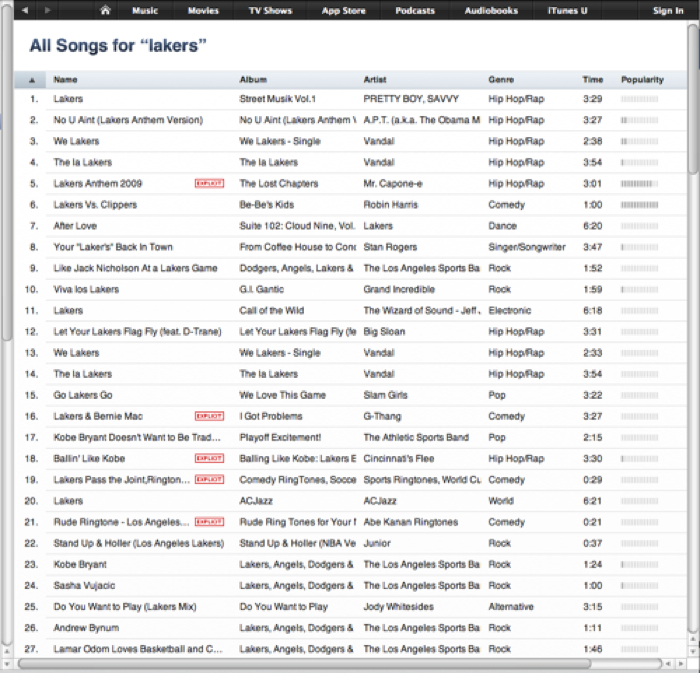 I’ve Got the #2 Lakers song on iTunes!! Thanks to everybody who bought the single at iTunes and/or Amazon! Special shout-out to K.K.O.F. for producing the track! Download A.P.T.’s “NO U AINT” Songs Here! Well, the “No U Ain’t” movement is in full effect! You can now download your copy of the oh-so-infectious song, available in two versions: the original version and the Lakers Finals 2010 Remix version. Preview the song below, then download your copy for .99 cents today!